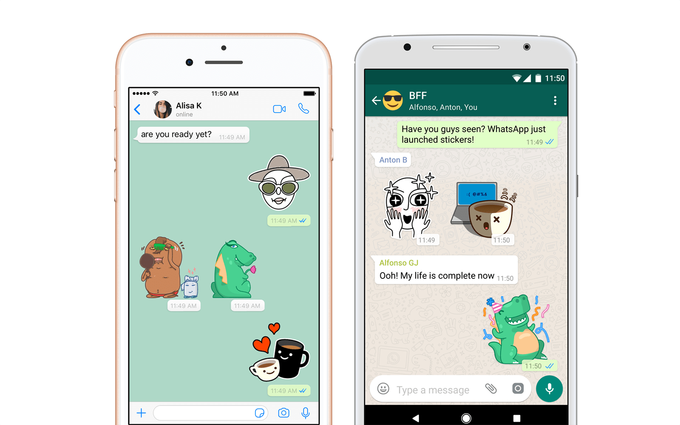 The popular messaging app has announced it will be rolling out stickers to its iOS and Android users over the coming weeks. Fans of the app will have access to a limited selection of stickers, designed by WhatsApp's own team and a selection of artists. However, the platform has also released a guide for would-be sticker creators, which involves first publishing packs on the Google Play or Apple App Store. 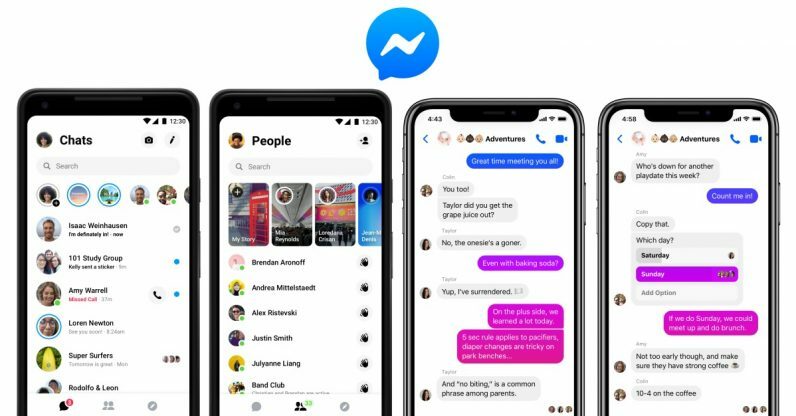 Facebook has announced it will be overhauling the look and feel of Messenger, to cut out much of the clutter it has accumulated over the years. Under the new, simplified design all chats will be listed under one tab, with another dedicated 'People' tab containing stories, Friend's activity and the search functionality. A third 'Discover' section is saved for bot integration options and games. The update will be made available to all users over the next few weeks. If you miss the good old days of being able to add music to your Myspace profile, you're in for a treat. Facebook is testing a new feature that will allow you to do just this on the platform. Once pinned, songs will appear in a new dedicated 'Music' section at the top of your profile. People who visit your profile will then be able to listen to part of a song and view photos of the artist, and will be linked back to the artist's Facebook page. There is currently no timeline for when the feature will be rolled out broadly. As brands gear up for the festive season, Facebook has released a wave of new updates to its ad products to help marketers get their products noticed. Firstly, the social network has expanded overlays for dynamic ads so that marketers can now create their own overlay (dedicated to Black Friday or Christmas, for instance) to visually promote discounted products. Holiday-specific templates and stickers will also be introduced to the video creation kit, to help businesses more easily create video ads that showcase their products. And last but not least, Facebook has released two updates to make collection ads more immersive and personalised, including the option to automatically organise products from a catalogue into more personalised groupings such as "Suggested for you" and "Most viewed". At a TechCrunch event in LA last week, the platform's head of augmented reality confirmed that the team is "going forward" on designing a new set of AR glasses. This comes after Facebook launched its first piece of branded kit, Portal, early this month. Instagram has partnered with music streaming service, SoundCloud to allow people to share music directly from the site to their Stories. To share your favourite tunes, simply click the share button at the bottom of the track on SoundCloud and either click the Instagram icon or "Share to Instagram Stories" (depending on your device). To listen to the song, users will need to click on the "Play on SoundCloud" button which will redirect them back to the site. This integration is now live, and available via the latest versions of the SoundCloud and Instagram mobile apps on iOS and Android. Despite growing negativity around its results, Snapchat was another one to beat Wall Street expectations last week, as Q3 reports showed it beat estimates by $15 million - earning $298 million in revenue. Despite a 1 percent drop in daily active users from its Q2 report, the platform's overall user count has continued to grow 5 percent year-over-year. 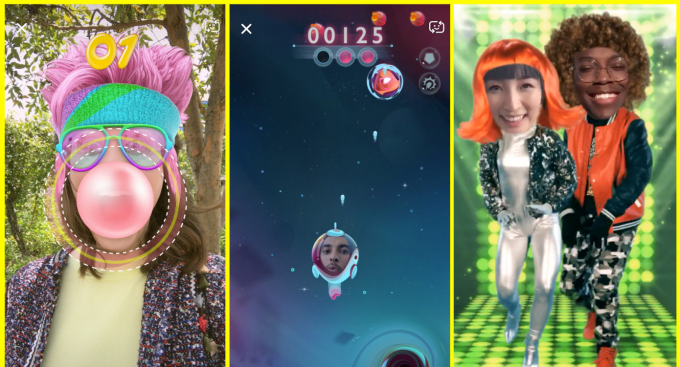 Q3 also saw the potential for gaming as the future of the platform grow, as Snapchat's augmented reality Snappable games. The Snappable Tic-Tac-Toe game in particular attracted 80 million unique users. Snapchat has released Snap Camera, its first software for Mac and Windows devices which takes over your webcam to bring AR effects to other services such as YouTube, Google Hangouts, Skype, Facebook Live and more. In addition to which, the platform has announced at last week's TwitchCon event that Twitch broadcasters with extra features will be given access to additional features. Snap Camera is available to download now and sits as a standalone offering to Snapchat itself, not even requiring users to sign in to their account to access the AR Lenses. The platform says the aim of this new launch is to "drive more attention to its community AR Lens platform so more developers and creators will make their own effects", as opposed to boosting user growth. As the result of a new partnership with digital knowledge management platform, Yext, from November onwards Snapchat's Context Cards will now contain even more information on businesses - including names, addresses, phone numbers and hours of operation. Context Cards were first introduced in 2017 to give users access to reviews, reservations, directions, customer comments and more. This new partnership will help advertisers to engage more audiences by filling in some blanks by pulling information from other platforms in Yext's network. Twitter has beaten analysts' predictions for its Q3 performance, after the social network reported $758 million in revenue - a 29 percent year-over-year increase. Initially, analysts had predicted revenue of just $703 million fort the company. The platform's ad revenue also increased by the same percentage over the quarter, totalling $650 million, aided by the fact that ad engagement has increased 50 percent year-over-year. While Twitter failed to meet expectations for monthly active users - in fact seeing a decline on the same period last year - it has reported that the average number of daily active users has actually increased 9 percent year-over-year. In a move to enhance conversations on the platform, Twitter has announced it's testing a series of profile updates including presence indicators (a WhatsApp-like status to help people describe what they’re doing while they tweet) and 'ice breakers', to help kick-start more discussions. In addition, plans also include a design update to the way conversations are laid out on the platform, making them look more like group texts. A dedicated 'reply' button is to be added under each tweet with replies set to appear in a different colour to the original tweet. The platform hasn't confirmed a timeline for when, or if, any of these updates will be rolled out widely. As part of Microsoft's Q1 2019 results, which were reported last week, the tech giant revealed that LinkedIn - which it purchased back in 2016 - saw its revenue grow by a whopping 33 percent across all currencies. The report also revealed that LinkedIn showed "record levels of engagement highlighted by LinkedIn sessions growth of 34%" and saw its membership hit 575 million back in August of this year. Although the actual usage and daily active user figures are still unknown, things are clearly going well for the platform since it joined the Microsoft family. Google has slowly been building up its Maps app over recent months to help make it more of an experience for users, as opposed to just a way to get around; and now it's taken this one step further by "introducing a new way for users to follow their favourite businesses". Users of the app will now be able to tap the new 'Follow' button on a business' page which will keep them updated with events, offers and other updates in the “For You” tab. The new feature will become available to over 150 million businesses already on the Android version of the app over the next few weeks, as well as its millions of users. The “For You” tab is currently available in limited markets, with more countries coming soon.